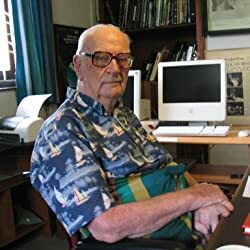 "SIR ARTHUR C. CLARKE (1917-2008) wrote the novel and co-authored the screenplay for 2001: A Space Odyssey. He has been knighted by Queen Elizabeth II, and he is the only science-fiction writer to be nominated for the Nobel Peace Prize. His fiction and nonfiction have sold more than one hundred million copies in print worldwide. Please enter your email address and click the Follow button to follow Arthur C. Clarke!